The best of Mexico is not it's beaches, its colonial towns or ancient Mayan ruins, but instead it is the people of Mexico. Mexican people are considered some of the friendliest and most hospitable people you will meet in the world. I want to devote this article to talk a little about what makes Mexican people so great. Mexican people are considered the hardest working people in the world. Did you know that according to several independent studies in the United States and Internationally, Mexican people not only retire from work at much later years in their life but also work the most amount of hours per year than any other country in the world. So the stereotype of a Mexican guy with a big sombrero sleeping under a cactus is no more than just a myth. This fact of Mexican's being extremely hard working people sometimes goes unnoticed because of fact that their income is one fifth of that of their counterparts in North America, the United States and Canada. While Mexico is growing it has taken a long time to fix many mistakes of the past like the devaluation of the peso and corruption within the high level of government. Mexicans are up to the task though and the country is under major transformation. Mexican people have very very strong family bonds. The family is considered sacred for all Mexicans. There is no such thing as once you turn 18 you are on your own. Actually it is not unusual for a families to stay together and live in the same household for a longer period of time and for the parents to live with their children in their retirement years. It is considered "in-human" to leave parents to struggle on their own or for them to go to retirement home. However, the Mexican family goes beyond the immediate family, get togethers involve getting together with all the relatives, including second and third cousins and very quickly turning into a fiesta, where there is games played, music, story telling and yes probably some dancing. Be careful though because when visiting a Mexican family they may adopt you and make you one of their own regardless of your ethnicity or color of skin. The more diverse the merrier! Holidays like the "Day of the Dead" have strong family meanings. We highly recommend you visit Mexico to celebrate this wonderful holiday. You will learn that the Day of the Dead marks the return of the Dead. The very basic idea is that this holiday which last several days and all starts with the first day being devoted to the day of the "little angels." This is the day when first the children and babies that may have died at birth or in the early years come back home to visit their family. After this, the rest of the famiily come back to visit their immediate relatives. For this you will see many homes desginate an area in their home where they will put pictures of their deceased family members such as a son, daughter or parent and next to their picture they will place things that that relative really enjoyed like candy or fruit or anything else that you remember. You decorate your home with many flowers and make it very cheerful including lighting of candles. Then when the day arrives, many claim they have seen changes or the dead leave little clues that they were there to visit them. During these days you also go visit the cemetery to leave flowers for other non-immediate family members and immediate family members. It is a big celebration for the dead and a way to remember them and welcome them back with the living. You can say it is almost like spiritual window where you can spend time with your lost ones. An amaxzing holiday and one that truely shows the love and strong family bonds that Mexican people hold. Mexican people are very spiritual people. Mexican people believe that you are on earth and when you die you normally go to heaven, however Mexican people also believe in many spirits on Earth. It might be that because approx. 80% of Mexican people are of mixed ancestry of Europen Spanish decent and Meso American decents such as the Aztecs and Mayan that many people still have beliefs towards spirits that include earth's natural spirits from animals, plants, wind, sun and fire among other forms. When traveling Mexico you will see many displays of Mexican spirits in homes, paintings and murals and even in holy sites and churches. The diversity of spirit, cultures, religion, food, etc is also what makes Mexican people so fascinating. Music is about love and always a reason to dance. A real pass time for Mexican people is listening to music and dancing. As the saying goes "if you are Mexican, then you know how to dance because its in your blood." Go to any Mexican event and it is only a matter of time before the music comes on and eveyone starts dancing. It does not matter whether the party is in a hall, beach, back yard, cement or dirt picnic area, that is no excuse to not dance and listen to music. Mexican people are happy people and things like laughing, dancing and listening to music is more important than material things. Due to their Catholic nature, they strongly believe that you are here on earth for a short duration and when you leave you cannot take anything with you besides your soul so they make sure to have a soul full of happy family moments. Food is part of the culture. Ok, there is no denying that Mexican food is extremely good! However, what makes food part of the Mexican people is how they use food to bond family. Have you ever visited a Mexican family and not been fed? It is hard to leave a Mexican family's house without being offered delicious home cooking regardless if they are poor or rich. Food is part of a bonding moment and they make sure that your tummy leaves very happy. A time to laugh, enjoy and tell stories. The Mexican family table is sacred, with most familes doing a small prayer before their meal and they enjoying more than one or two hours laughing, drinking, including hearing some stories (good tales). Love for God. Nearly 80% of Mexican people are Christian and mostly Roman Catholic. This does not mean you have to be religious to visit Mexico, but know that most of their values come from their strong belief in God and Jesus's mother which is the Virgin Mary. So when you visit Mexico not only will you see amazing and well perserved cathedrals but you will see Saints and imagery of Jesus and Mary almost everywhere. Litterally everywhere! People will pray in private or in churches or homes at least once per day. What Mexican people are NOT is drug dealers or crimminals. Mexico for the longest time had some of the lowest homicide rates in the world and still does in many regions of the country. Mexico city considered one of the biggest and most poplulated cities in the world was and still today is considered one of the safest mega cities in the world. A few incidents that media explodes into headlines does not represent the reality of everyday life. We can name many cities in developed countries that have a much higher crime rate but prefer not to get into enter into this type of sterotyping. Did you know that Mexico has only one (1) uno, yes one gun shop in the whole country! This one gun shop is located in Mexico city and at an Army facility. Although access to guns in Mexico is very hard, guns unfortunately are making their way to crimminal groups from outside the country for the purpose of protecting drug trafficing trade routes through Mexico. These crimminal groups in the thousands DO NOT represent the 130,000,000 (130 million) citizens of people but unfortunately the crimminal groups are the ones that make the news headlines, which regrettifully distorts the perception of the Mexican people and the country. We hope you enjoyed this brief post of the Mexican people and you will meet them in your travel to Mexico. Make yourself at home when visiting Mexico. As the saying goes by Mexican people of Mexico, "Mi Casa es Tu Casa" (My home is your home). There are many beaches in Mexico that are worth visiting, but to some people the beauty of Playa del Carmen has been unmatched and that is the reason why we decided to dedicate this article to the a few things you can do when you visit Playa del Carmen. Playa del Carmen is located on the Carribbean coast otherwise also known as the Maya Rivera. A short 60 minute drive south from tourist-megaoplis Cancun, you will find this boutique town. If you are looking to get away from the big resorts this is by far one of the best Mexican beach destinations you can visit. 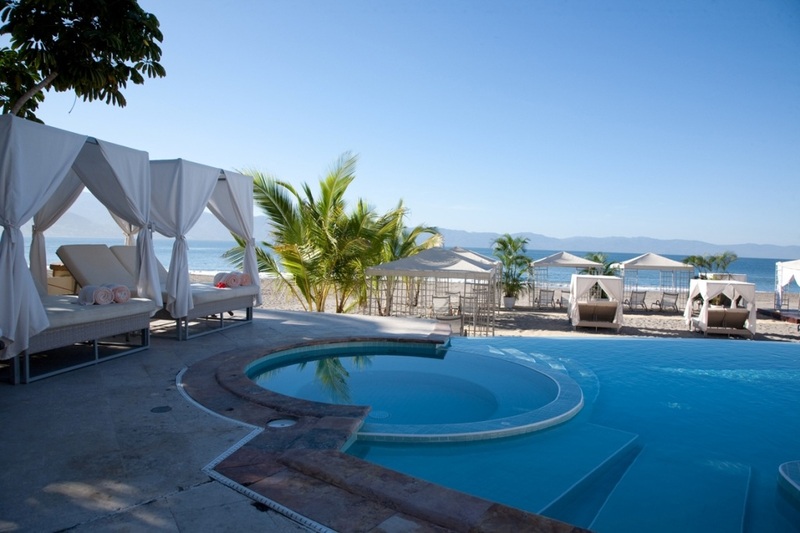 I've personally fell an immediate connection when visiting this town and I have visited many other beach locations in Mexico and abroad. However, you better hurry because this gem may not be small for very long as it is becoming extremely popular. There is a lot to do when you visit Playa del Carmen, both in town and near by. 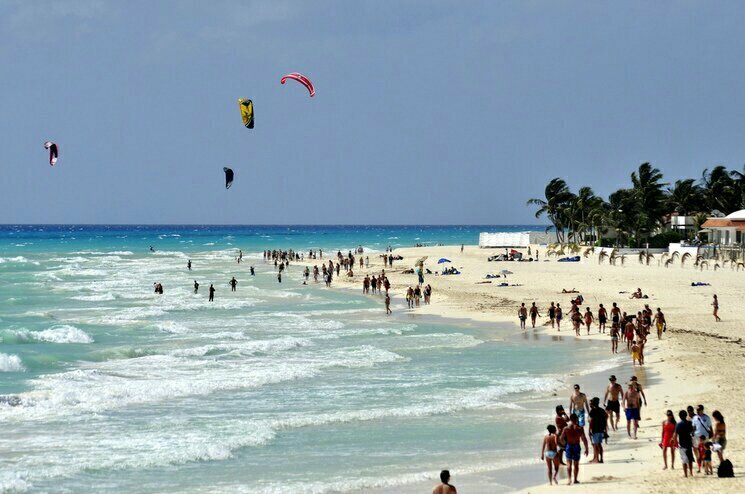 Playa del Carmen is actually very central to many places along the coastline and in the greater Yucatan area. Below are just a few things to consider doing when you visit this destination, of course sitting/sun bathing on the beach is a must and worth it in itself. Ok let's get started. Go diving in some of the most incredible spots that can be found in this area of the world. There are many breathtaking underwater paradises in this region such as just offshore from Isla Cozumel or Puerto Morales that are waiting for you to discover it and of course right in Playa de Carmen itself. You can dedicate an entire day to diving in this waters and then once the sun comes down, you can enjoy a nice dinner in one of the any restaurants nearby. This is one of the most beautiful locations in the area. Xcaret has many special locations such as the dolphin aquarium, the turtle sanctuary and plenty of great evening events that are prepared for its visitors. You can’t visit playa Del Carmen and not go to Xcaret. It’s one of those “must see” places and part of your trip that you are never going to forget. It you are looking for a night out, we suggest that you go on "La Quinta Avenida" or 5th Avenue in English. This pedistrian friendly street has a large number of restaurants, clubs, bars, hotels and all kinds of events that will keep you busy in this area for as long as you stay. The food is great and the night clubs are full of life. Definitely an area for partying and enjoying yourself all night long. This is a natural aquarium that is located in a incredibly beautiful lagoon that visitors can swim in and also snorkel. The biggest differentiator between this and Xcaret is that everything in Xel-Ha is 100% natural. While one is natural and the other has more human made elements, they are both very well visiting. Both locations are different and a must see! This is the most happening night club in the area and if you are a night owl and like the nighlife then this place is for your. The Blue Parrot is open all night and you will be strolling back to your hotel room at around 6 or 7am. The Party never stops at the Blue Parrot and there are usually plenty of events and shows to entertain its visitors. We don’t suggest this place if you don’t enjoy dancing, loud music and a party atmosphere. However, if you like to let loose a little and are ready to do some level of partying, dancing and sparking or having great conversations with people this is a great place to visit. This is one of the most beautiful beaches in the area with clear blue turquoise water, white powder sand and breathtaking views that provides the perfect setting for anyone who wants to enjoy a good time at the beach. Sunbathing and enjoying beach sports and activities has never been as pleasurable as it is in this area at Playa del Carmen. You will never want to leave when you sit down with a cold beverage and enjoy the breathtaking views in the afternoon. In summary, Playa del Carmen offers a little bit of everything for anyone who is looking to have all kinds of fun. If you like clubs and nightlife, you will find great options. If you like family oriented events and activities, you will also find more than enough options in this area. Just make sure that you come for a whole week or longer so that you can experience all the fun attractions and activities that Playa del Carmen has to offer. On November 1st and 2nd Mexico celebrates Dia De Los Muertos (day of the dead). According to tradition this is when dead relatives both young and old are allowed to return to the mortal world for two days to visit loved ones. Spirits come down and walk along the living, sampling treats and join in the festival. The people in Mexico welcome the spirits with open arms. They cook delicious foods that were the favorites of the people who have passed away, decorate with sugar skulls, make tasty sweats and light candles to guide the spirits home again. Gravestones are decorated and the whole family will gather in the graveyard to await and pay respects for the deceased. In very early October, all over the country, bakeries start offering Pan de Muerto, a Day of the Dead bread, made with flour, butter, sugar, eggs, orange peel, anise and yeast. The bread is adorned with strips of dough simulating bones and at the top a small round piece of dough that symbolizes teardrops. These breads are placed on the alters and are also taken to the tombs in the graveyard. Another tradition is to bake Calabaza en Tacha, Sweet Pumpkin, a desert prepared with pumpkin, cinnamon, and piloncillo, dark sugar cones. In the town of Patzcuaro on the Lago de Patzcuaro in Michocan, the tradition is different if the deceased is a child rather than an adult. On November 1st of the year after a child's death, the godparents set a table in the parents home with sweets, fruits, pan de muerto, a cross, a rosary and candles. This is meant to celebrate the child's life, in respect and appreciation for the parents. There is also dancing and colorful costumes, often with skull shaped masks and devil masks in the plaza or garden of the town. At midnight on November 2nd, the people light candles and ride winged boats to Janitzio, an island in the middle of the lake where there is a cemetery, to honor and celebrate the lives of the dead there. The town of Ocotepec opens it's doors to visitors in exchange for veladoras which are small wax candles. These show respect for the recently deceased. In return the visitors receive tamales and atole. This is only done by the owners of the house where someone in the household had died the previous year. Many people in surrounding areas arrive early to eat for free and enjoy the elaborate altars. As you can tell traditions can vary on how people celebrate Dia De Los Muertos, but the significance behind this holiday is felt all over Mexico. The importance of honoring the dead is something that will never be forgotten and this holiday will be celebrated for centuries. It wasn't very long ago that Mexico was thought of as poor, dangerous and violent. In the year 2009 over 60% of all reports about Mexico in the US newspapers were unfavorable. In 2012 a survey that was done showed that only 14% of people in the US said that Mexico was known as a, "good neighbor". In 2012 Mexico's economy increased by 3.9& and they were given the nickname the "Aztec tiger" by the Financial Times. Mexico's overall appearance started making a impressive shift from the previous years. The government elected new leaders who boosted the spirits of the country as well as made other countries around the world take notice. Thomas Friedman wrote two different articles about Mexico. These were both about Mexico being an international policy favorite and identified Mexico to be the next country to dominate economic power. Mexico continues to be foreign to a lot of Americans who have for a very long time been interested in other continents around the world. But what they are quickly realizing is that the connection between the United States and Mexico is one of the most important that there is. It has been twenty years since the signing of (NAFTA) North American Free Trade Agreement between Mexico the US and Canada. This helped to eliminate the barriers with trading and investment. This brought the immediate elimination of tax. Mexico imports more U.S. products than any other country other than Canada in the world and is the third major supplier of oil to the United States. The Organisation of Economic Co-operation and Development now identifies Mexico as having the 14th largest economy in the World. For a long time Mexico has been almost like a sleeping giant. The people that live in Mexico know what is so great about their country and the benefits that Mexico offers to their neighbors and now other countries are starting to see this as well. They are seeing the strong economic, cultural and agricultural benefits that Mexico has. They see the strength in the economy and that it continues to get stronger year after year. Mexico is taking steps all the time to advance in every way possible while still maintaining their ethical values. When you visit Mexico you see with every turn that family is very important and that the values that are being instilled in the children are going to be the values that the future leaders of the country have. Mexico is now building a new reputation. One that is based off of their economic status as well as other things. Mexico is starting to become known as a country where people move to teach their children a slower way of life. A way of life that helps teach family values. A place where people move after retirement to relax. They are known for their friendly people, beautiful landscapes and booming economy. The U.S. now has a neighbor that they are taking notice of in new and positive ways.